Provenance is intended as the description of the origin and/or of the descendant line of data. In the last decade, keeping track of provenance has become crucial for the correct exploitation of data in a wide variety of application domains. 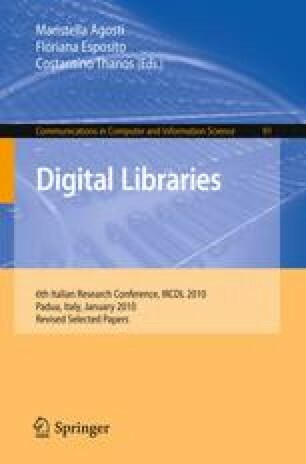 The rapid evolution of digital libraries, which have become today advanced systems for the integration and management of cross-domain digital objects, recently called for models capturing the aspects of data provenance in this application field. However, there is no common definition of digital library provenance and existing solutions address the problem only from the perspective of specific application scenarios. In this paper we propose a provenance model for digital libraries, inspired by approaches and experiences in the e-Science and cultural heritage worlds and based on the notion of event occurred to an object. The model aims at capturing the specificities of provenance for digital libraries objects in order to provide practitioners and researchers in the field with common DL-specific provenance description languages.